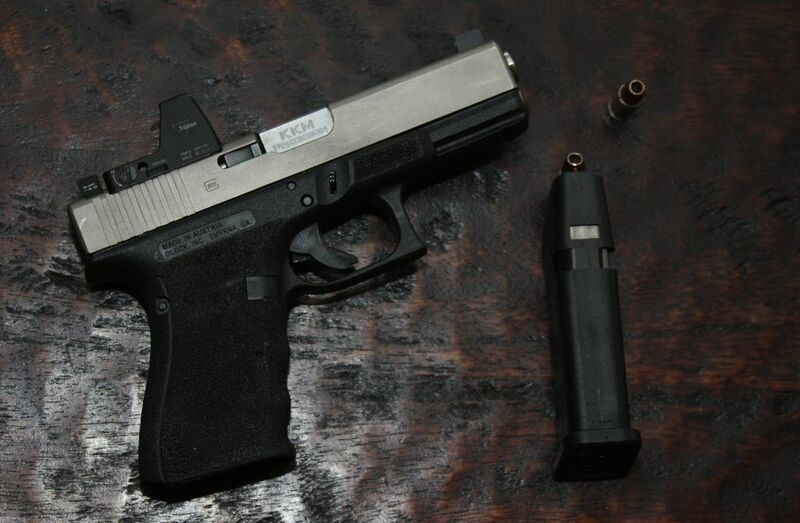 I have thrown a lot of rounds downrange with my GLOCK 19. I would guess 20-25k. The barrel is still in decent shape although groups may have opened up a little bit. 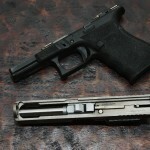 On the advice of Kyle Defoor, I decided to try out KKM Precision’s Glock 19 Match 9mm Drop in barrel. After about 1k round I can say the results are far better than I was hoping for. There are a number of quality players in the game of GLOCK drop in barrels. You have Lone Wolf Distributors who makes a quality product for the money that gets great reviews and is a solid contender for the price, although you need to like cartoon charters on the top of your barrel. There is also Storm Lake Barrels, who I would say for the price to value ratio is right up there with KKM. Bar-Sto, another barrel manufacturer, makes excellent barrels but are expensive compared to the others mentioned and I don’t know if the extra cost is worth it. I went with KKM based off Kyle’s recommendation. At the time of writing the KKM Barrel was $165 + shipping and was at my door in less than a week. FYI – Some barrel makers will offer two types of barrels; Drop in and Match grade. The Match grade may require fitting by a gunsmith and I would not use in self-defense pistol. The Drop in barrels are just that – drop in. They should require no fitting and in regards to the KKM, it has been flawless with every type of ammo I can get my hands on. 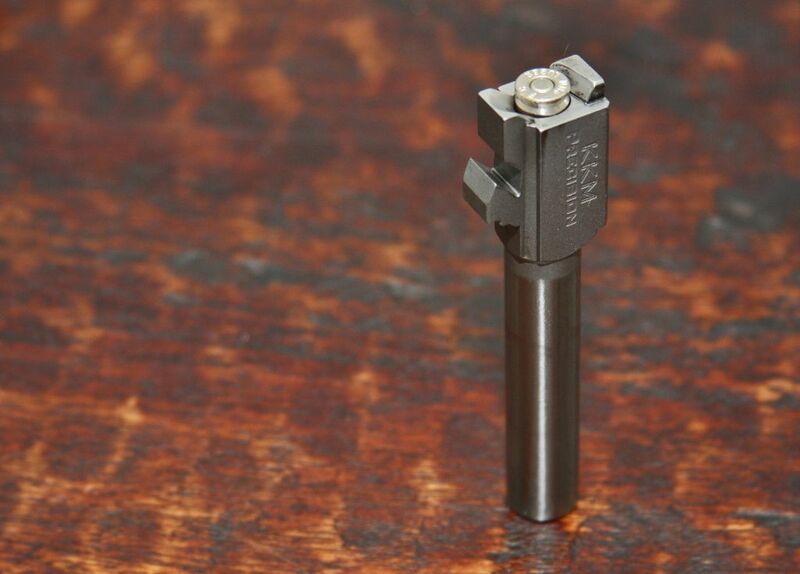 I have read some musing on the interwebs that the KKM and others can be a little tight with reloads. I am in the process of setting up a reloading bench with a Hornady Lock-N-Load AP and will update this post when I get more real world data on shooting reloads. 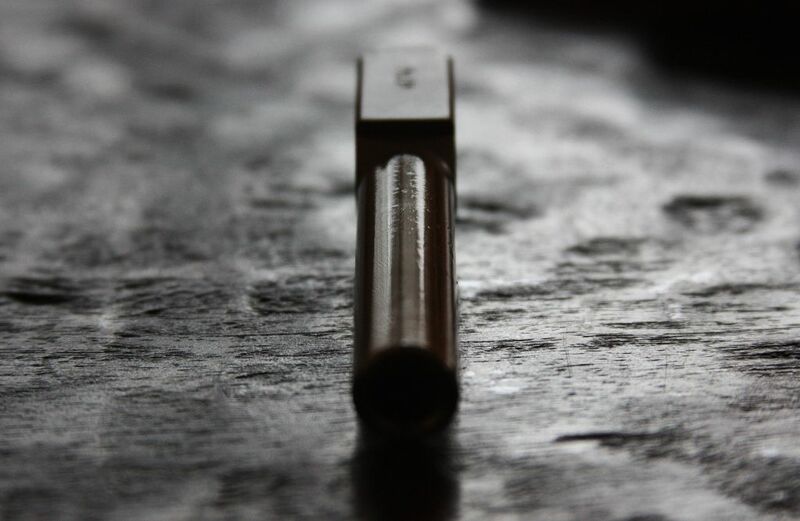 Using an aftermarket barrel will also allow you to use lead reloads if you so desire. 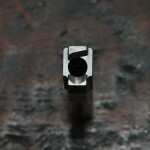 GLOCK uses a Polygonal rifling on their barrels which cases issues when shooting exposed lead bullets as the lead can build up in the grooves. This can cause over pressure and a kaBOOM under the right conditions. Hence why GLOCK says NO to lead bullets. Some say it’s not an issue but generally I try to roll with the manufactures recommendations. 1st I very rarely shoot for accuracy. I am generally shooting for speed with solid torso hits and at distance making hits on steel. Clearly your mileage may vary. 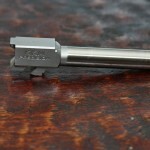 2nd I am a firm believer that there can be variations of quality based on tolerances of a given part. If you don’t know what I’m talking about, when you machine a part, there is the basic size or spec size and then you will have a lower deviation (the difference between the minimum possible component size and the basic size) and an Upper deviation (the difference between the maximum possible component size and the basic size). Depending on the spec and how strict the purchaser of the part is, this margin can be big or small, small being more expensive and time consuming. What we would like to see is a small deviation and the parts be very close together in quality and measurements. Essentially what this means is you can get a part that is awesome and sometimes you can get a part that is not so awesome. 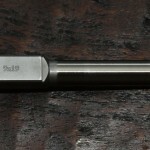 I don’t know what KMM’s tolerances are, but the barrel I received is awesome. I am super happy with the purchase! My groups are smaller and my accuracy at long ranges is much better. That being said there are some naysayers on the internet saying that they saw no positive results from getting a KKM Match Grade barrel. You could say that they are full of BS or you could say they are spot on. All I am saying is my KKM barrel is excellent and it is one of those mods for a GLOCK that although expensive is worth every penny. They are now on my wish list for all my GLOCKS! After a year of shooting it is still an awesome barrel. I primarily shoot reloads through it, 147 grain and 115. No issues with reloads or any ammo. It has functioned perfectly with no malfunctions at all. I now run it in my GLOCK 26L that I carry most of the time. My RMR 19 is currently running a SilencerCo threaded barrel which I am not all that thrilled with. If I were to do it again I would have picked up a KKM threaded instead of the SilencerCo barrel. I will do a review on the SilencerCo barrel this year but I want to pick up an AAC threaded barrel for caparison and they are currently out of stock. I am very happy with the KKM purchase. I picked up a 9mm suppressor (AAC Ti-Rant 9) and the natural fit is the RMR 19. It already has suppressor sights and is a very easy to shoot with the RMR. Because of this, it has to have a threaded barrel and I got a great deal on the SilencerCo barrel. Knowing what I know now I would have gotten a KKM threaded for the RMR and still did the swap to the 26L. Where did you get your slide done in that color? Thanks for your time!! All the slide work was done by ATEi and they refinished the slide in nickel boron after they milled it. 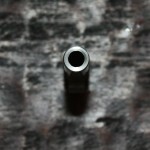 I have had a kkm 10 mm since 1994, tens of thousands of rounds of anything. Never a problem! Only problem was accuracy… I passed the possible club on first try. Gun vault inspected my weapon, found the kkm, made me shoot it over. 8 times… With the factory barrel till I hit it again. The kkm shoots where I think. I am sorry to say that Kevin McIntyre, of KKM Precison, passed away today of injuries suffered while riding his motorcycle near Virginia City, Nevada. He was hit by another motorcyclist traveling the opposite direction while out of his lane. Kevin was an avid motorcyclist, fisherman, hunter, shooter, and dedicated husband and father. He was a great American. He was also my friend. He will be missed.